Last week’s news that ESPN had not only acquired the Big 12’s odd-year football championship games through 2024 but also a streaming package of football, men’s basketball, and other sports was surprising for that second part. The odd-year championship games were long rumored to be heading to ESPN to join the even-year ones, especially after Fox declined to purchase those rights in January, but there wasn’t much of a sense that that streaming package was on the market, as those games had already been sold school-by-school to various local outlets. 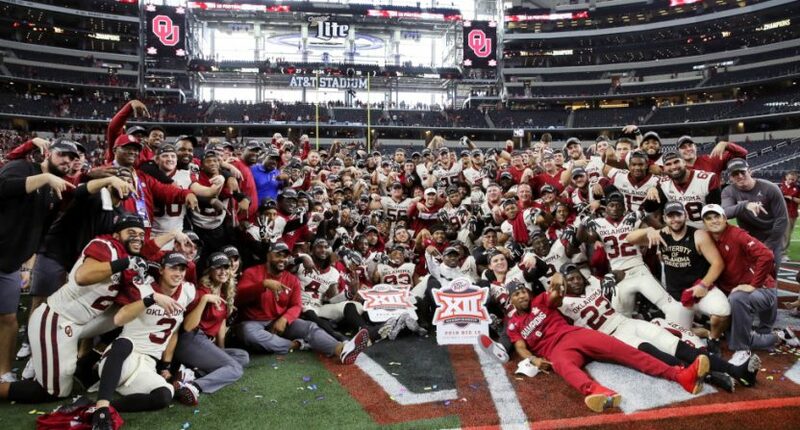 The Big 12 was trying to sell the rights to three college football games — its championship games in 2019, 2021 and 2023 — and ESPN was one of the few media companies that wanted to buy them. ESPN already owned rights to the games in 2020, 2022 and 2024. It should have been an easy deal, but the two sides could not get close on price. The Big 12 wanted around $20 million for each game. ESPN wanted to pay much less. It became clear pretty quickly that they couldn’t come to terms on money, so they had to get more creative. That’s where streaming rights came into play. ESPN had embarked on a strategy of buying as many rights as it could for ESPN+. It was particularly interested in college sports, believing that schools’ rabid fans are more likely to buy a $5 monthly subscription to the streaming service. In those early talks more than a year ago, the idea of ESPN picking up streaming rights never was broached. Over time, however, after the April 2018 launch of ESPN+, it became apparent that the streaming service could provide a solution to bridge the gap on price. As previously noted, these extra streaming games don’t include home games for Texas or Oklahoma, which are already sold through their deals with ESPN’s Longhorn Network and with Fox’s “Sooner Sports Network” (a combination of various regional networks, some national coverage, and even some pay-per-view broadcasts) respectively. But they include over 50 exclusive events per year from the remaining schools (with Baylor, Kansas, Kansas State, and Oklahoma State starting next year, and the remaining schools starting the following year), including a home football game each. And that’s definitely a way for ESPN to gain here, as this represents the biggest NCAA rights that they’ve been able to put behind the ESPN+ paywall so far, and the biggest move they can make there for some time. The SBJ article has Big 12 commissioner Bob Bowlsby calling this “the last beachfront property,” or the last significant rights available for a while, and that seems about right; consider DAZN executive chairman John Skipper’s recent comments on how much is locked up for the next few years. There are still some complications here, as in order for this deal to work, the schools involved had to reclaim those rights from Learfield IMG College (which had sold them locally). The schools will now negotiate with that company, but it sounds like they should be able to find some creative ways to make deals; they could take less money from Learfield IMG for less rights, or provide them with some additional marketing content. And Smith and Ourand note that Learfield IMG is now selling corporate sponsorships for the Big 12 as a whole, so they’re clearly invested in working with the conference and its schools. It’s notable that ESPN only wound up paying $40 million for this deal, which would be $13.33 million per conference championship game without even considering the value of the streaming content they’re adding. So that’s not close to what the Big 12 wanted, but they didn’t have a ton of options after Fox said they didn’t want the championship games at the price the Big 12 was asking. And this streaming deal got the Big 12 more money than just the championship games alone would have, and kept the average they’re receiving across the next six championship games at $22 million (back in 2016, ESPN agreed to pay the conference $30 million a game for the four even-year games from 2018-2024, including the 2018 one seen at top). This deal also gave the Big 12 what’s essentially a conference network, just one on ESPN+ rather than as a linear channel. And it gave ESPN significant football and basketball content they can now put on ESPN+ to drive subscriptions there. All in all, this looks like a creative way to bridge this gap, giving ESPN useful content for ESPN+ while giving the Big 12 more money than the championship games alone would have brought in after Fox’s exit from that bidding process. And this deal is a good reminder that networks and conferences both tend to have the ability to make deals on other fronts if one set of negotiations stalls. The SBJ piece mentions that streaming was never discussed in the initial negotiations here over a year ago, but that the launch of ESPN+ last April presented a possible solution for both sides. And it’s worth considering the flexibility that ESPN+ provides ESPN overall; they have no channel limits on what they can put there, and anything that will drive even a few subscribers is probably worth putting there. That allows them to be aggressive in chasing even lower-tier rights like the Big 12 ones here, and in signing deals like this one that might not have worked in a linear TV-only world.